Dr. Sean Jamalabadi, known to his patients as Dr. Jamal, grew up in a family of diverse medical professionals. It is not surprising that Dr. Jamal continued down a health related path, but he wasn’t always certain what his chosen profession would be. While in undergrad, Dr. Jamal was extremely active in sports. It was here that he had his first experience with chiropractic after injuring his back and his knees. He wanted to see what could be done naturally to help get him back to functioning better than ever before. After a friend recommended chiropractic care, Dr. Jamal’s interest was piqued. The care he received put him on the path to recovery and on a lifelong journey of helping others accomplish the same as a chiropractor himself. 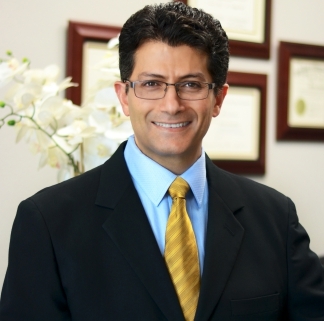 Dr. Jamal went on to graduate from Logan University in St. Louis, a top chiropractic school. Now with more than 14 years of experience, he brings his expertise to Rockwall with hopes to encourage and inspire families to take control of their health to experience the many joys of life. In addition to his chiropractic schooling and with a lifelong love of learning, Dr. Jamal took his knowledge to the next level when he became a Certified Clinical Nutritionist. Growing up as an athlete, Dr. Jamal was always interested in what nutrition could do to enhance his performance naturally. As a chiropractor, Dr. Jamal couples his unique knowledge in nutrition with adjustments to provide patients the best care possible. At Rockwall Health Center, we believe that chiropractic care can help bring relief from pain and set up patients for health going forward. However, sticking to a healthy diet is critical to staying pain free and living a productive life. When he is not in the office, Dr. Jamal enjoys spending time with his wife, who is a family practitioner, and his son. Always active, Dr. Jamal and his family enjoy quality time outdoors and improving their health naturally in many of the same ways he suggest to his patients. They love the Rockwall area and could not be happier to call it home. Functioning in the Rockwall community as a member of the local chamber of commerce, Dr. Jamal and his wife often participate in community events. They also host monthly health chats in the office to encourage the community to take an active approach in leading a healthy lifestyle. Check back in the future for updates on upcoming topics. Do you have questions about the impact that chiropractic and proper nutrition can have on your life? 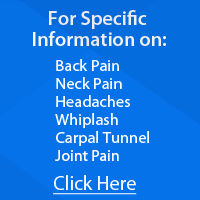 Contact our office today to schedule your first appointment. We look forward to speaking with you and helping you achieve wellness.